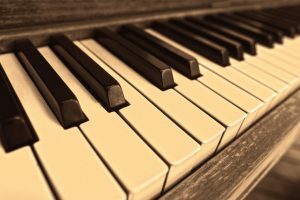 Home » How Do Temperature and Humidity Affect My Piano? How Do Temperature and Humidity Affect My Piano? Most people take their piano for granted. You keep it in your living room for years and years. It looks pretty and sounds great, yet one never seems to even consider how weather and lack of maintenance can affect its appearance and overall performance. Then again, why would you? It’s a giant instrument made of wood and strings, and the idea that it might be impacted by temperature and humidity often goes unnoticed. The truth of the matter, however, is that temperature and humidity can be detrimental to the sound and the appearance of your piano, and that is something every piano owner should keep in mind especially when moving or storing it. The way in which temperature affects your piano is especially risky when your instrument is regularly subjected temperature fluctuations —from very high to low and vice versa. These fluctuations are the culprit behind your piano going through a vicious cycle of alternating expansion and shrinkage, expansion and shrinkage, etc., creating an unhealthy environment for the instrument. When it comes to piano storage, humidity is also a top concern. It is responsible for a lot of damage that can render your piano unusable. Keeping your piano in a humid place for a long time can cause the wood to crack and the coating to peel. In addition, very high levels of humidity can even affect piano strings due to condensation, which ultimately results in them rusting and breaking down. By following a few easy steps, you can easily guarantee your piano stays in top shape. If you plan on moving or storing your piano, it is essential to keep in mind the effects of temperature and humidity have over it. It is also important to regularly inspect your piano so that you can detect early warning signs of damage, prevent further harm from happening to your instrument, and avoid costly repairs in the future.